Em Frappier is an author and playwright with a love of wacky characters and fantastic situations. When she isn't writing, Em can be found on the top of a mountain somewhere in Vermont. She is the author of Do You Remember Ella? a horror/fantasy novella as well as many one-act plays for students and community theatre. 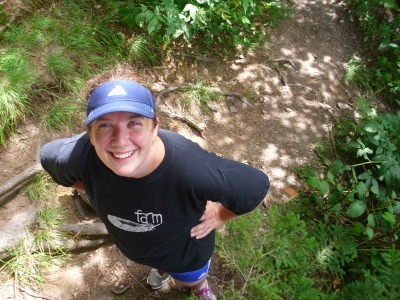 Visit www.emfrappier.com to peruse all of her available titles, and look for her next book, SuperGym, in November 2015. Sophie sees blood. It doesn’t happen all the time, but it is a major complication in the already difficult life of a teenage girl. Sophie is nerdy and poor in a school for the rich and popular. At Cullen Academy a student's worth is measured by their athletic ability. Sophie's awkwardness would be enough to set her apart even without her strange visions. Her best friend, Ella, left the school the year before under suspicious circumstances, and when someone begins vandalizing the school with Ella's name, Sophie is suspect number one. 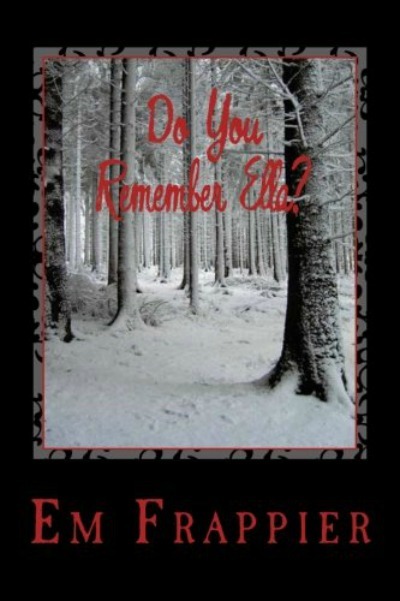 As she tries to clear her name, the mystery around Ella grows. So do Sophie's visions. When she falls for Marcus, a handsome new student, things escalate into a violent and terrifying encounter that turns her world upside down. Will Sophie be strong enough to battle the evil that lives on campus?